(n.) A scapegoat is an event person or object that is used to lay the blame on for all that goes wrong, regardless of the contributions of others. This will usually carry on until the scapegoat has gone, or has managed to successfully defend itself against the arguments presented to it. 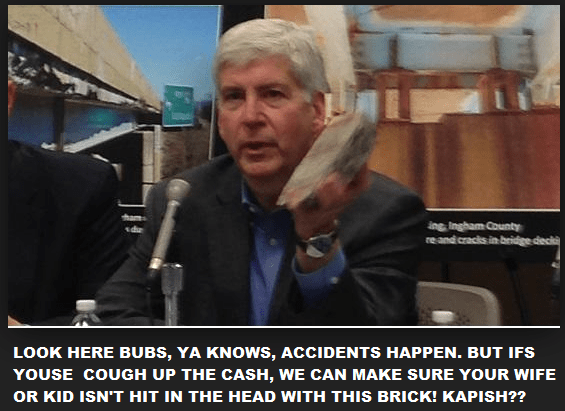 In the MIGOP the scapegoating is a never ending process, done to protect and deflect criticism of the new Sacred Cow of continued government expansion under Governor Rick Snyder. Linda Lee lost as an incumbent, partially due to her out of context ramblings prior to the election concerning RNC Committeeman Dave Agema. (Some claim her bloviating during the BS organized “Listening (to Linda) Tour” also cost her votes, but the events were so poorly attended I doubt the veracity of that claim). She and others need to take their own advice, and stop the Divisiveness. Her double standards are glaringly obvious, as illustrated by screenshots of a series of Posts she herself has allowed to remain on her page for almost a month now. If Linda were not black, the posts could easily be called racist, apparently they are just bitter grapes, a failure to accept election results, Ironic for someone employed as Director of Community Affairs & Election Integrity Liaison, allowed by a sore Loser. Will anyone ask Ruth Johnson if Linda Lee Tarver speaks on behalf of the Secretary of state? 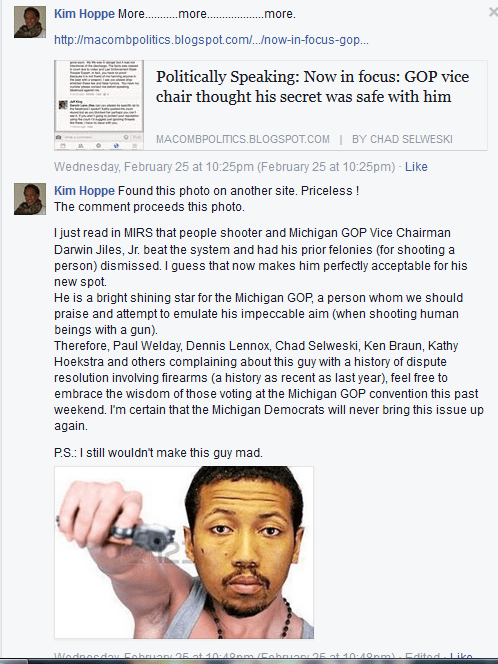 Will any Prominent leaders call for her to resign as Commissioner of the Michigan Department of Civil Rights? Does her continued attacks, and apparent refusal to accept the vote fit with her 36 years as Director of Community Affairs & Election Integrity Liaison ? Will Linda be asked to resign for Allowing the Following posts on her Facebook page for almost a MONTH? Some might speculate that The Left wing Media attack machine and the Establishment insider BS machine are working together to continue this controversy. Recently another ousted Former MIGOP official Declared a successful reign, while at the same time blaming Dave Agema for fundraising woes. I guess Reince has not communicated that the abandonment of the party by the Principled base is a nationwide Phenomenon? Many might instead begin the blame with John McCain, who committed Hari Kari when he apologized for an emcee at an event daring to use Barack Hussein Obama’s legal middle name. McCain at least had the sense to try to salvage his failing campaign by nominating a Genuine Conservative as a running mate, in the form of Sarah Palin. 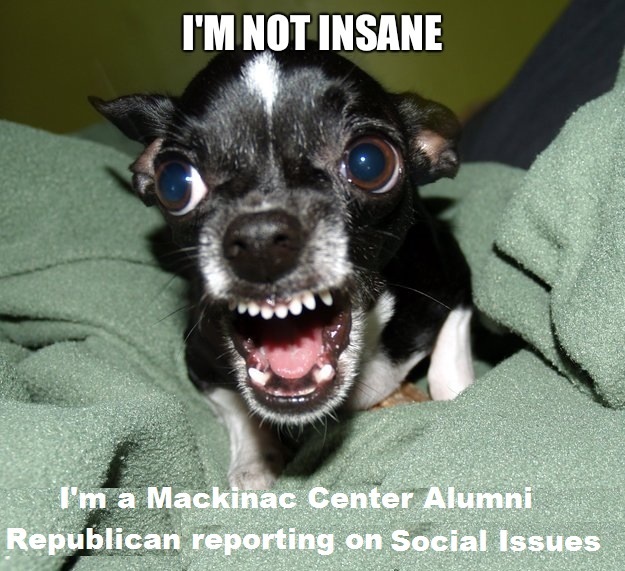 The Faux outrage of the Obamanites, while THEY ALLOWED the T-shirt wearing (WARNING EXTREMELY GRAPHIC LINK FOLLOWS, YOU ARE WARNED) “Sarah Palin is a _____” to attend campaign events is oddly familiar in the tactics aimed at Dave Agema and the Tea Party in MI. Bill Cunningham was also thrown under the Bus and called racist at the time. Far More People in OUR republican party are upset with the ignoring and abandoning of the Platform and Principles of the Party by the top leadership, and the IGNORING of that issue from within the establishment ranks. Stop the BS calls for Unity while giving a wink and a nod to the Purge tactics and embracing of Higher taxes, Continual government growth, and bowing to the immoral agenda of vocal minorities. It may be surprising to Linda, but People of All races are entitled to State the truth about the History of the republican party. Despite the condescending slam at Dave’s intelligence, I am willing to wager Agema knows that there are few if any Purebred people of any race in America. I am surprised she did not go off on a tangent on the oft misunderstood 3/5ths compromise. Linda’s latest attack, (including verbiage oddly similar to Ronna Romney’s latest interview comments) Propping up the typical out of Context left wing media and party insider attacks, by herself taking one sentence and presenting it as the whole, would make Even Lennox proud. 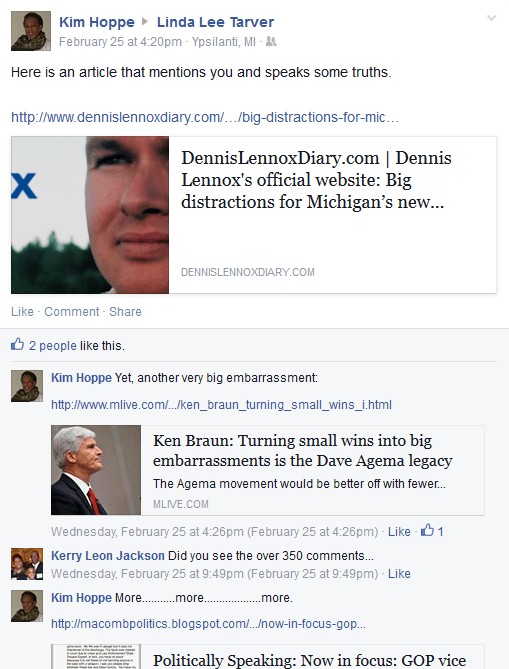 Stop the BS attacks on Agema, many are waking up to the FACT that the party is using him as a scapegoat (tactic seems to run in the family) to take attention away from the actions of Governor Rick Snyder​ and the select few in Leadership positions driving the statist big Government tax and spend agenda. Accept it, the days of unquestioned loyalty to Party over Principles is over. The few left who are willing to Hypocritically ask for their feet to be held to the fire, then cry crocodile tears when the base does so is gone. Welday, Shinkle, Tarver, and others were purged at the convention, the cleansing will continue. I do Hope Dave Agema​ does not use cream in his coffee, as Someone will spin his comments and cry Racism. 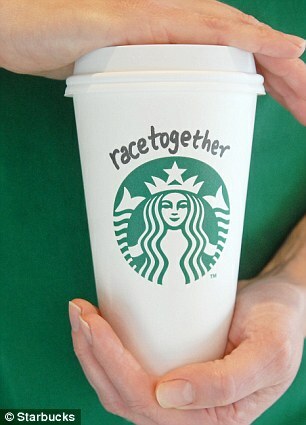 (Dave Agema​ please Boycott Starbucks). We know where any discussion on race ends when your name is inserted. And... she has claimed she is "eye-candy". No. Her ungracious antics .... a spectacle. I stand with Agema. Who'd ever thought they'd live to see the day that the race pimps and poverty warlords harbored within the Republican Party would be more caustic than those in the Democratic Party. Then again, it shouldn't be much of a surprise when those who had roughly $500 of damage while claiming undocumented John Lewis hyperbole (Breitbart's $100k is still available) would shamelessly pocket over $33,000 gathered by a moron Representative named Al because "I was referring to the state of California as an agricultural producer". Yep. Another simpleton schmuck "forward *thinking* problem solver guy". Anyhoo, I wish Mrs. Tarver all the best in her future endeavors. Rather confident that her bleach-blonde self-envisioned Nubian Queen mentality will find a home somewhere within Jesse and Al's Black Grievance Industry. Ps. regarding that "eye-candy" vision dancing in folks heads, well, we all prolly could use some of this. I'm actually enjoying watching this farce of a tax hike blow up in the "conservative" republicans collective faces like an Acme™ Dynamite Kit. An interesting note of trivia; even the local democrats can't get away from this stink-bomb fast enough after all of the blow-back they are getting from their constituents on how bad this is. Apparently, robbing you in order to pay off the bribe to your neighbor isn't going as well as they hoped. Might want to put away that dynamite meme before the death toll is taken. Remember, Snyder/Calley and the bifarceisan legislator leadership was only looking for the 50% + 1 vote required for Prop 1 to pass. Click here for Snyder’s numbers, and go verify the figures yourself. Matter of fact, Snyder didn’t even carry the percentage that “Heavenly Mother” did yesterday. Snyder only won 50.9% of the vote in 2014. That’s what Snyder/Calley are counting on May 5th. 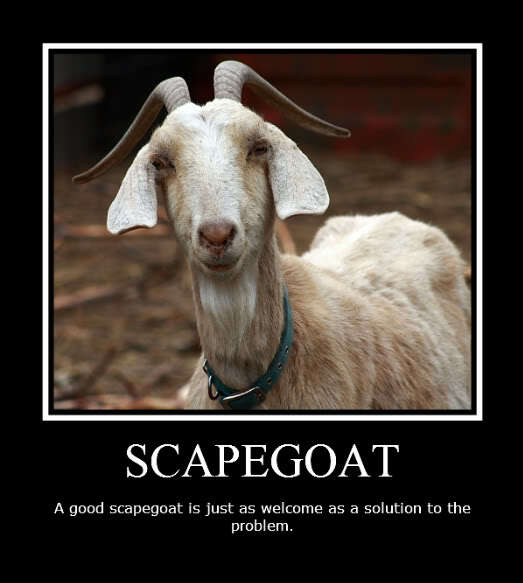 Not particularly clear on whom the "scapegoat" is for the projected failure of the ballot proposal on May 5th. Could you clarify, please? Dave Agema, the Tea party, (Notice the empty meaningless Platitude of "We are all Grassroots Now", Wonder what Yob got paid for that Jeweled Turd of a talking point?) anyone who complains about actually Following the Platform, as opposed to giving it Lip service, or proudly declaring "I voted for it" then ran a campaign to challenge and take out one of the most Platform Loyal Congressmen. 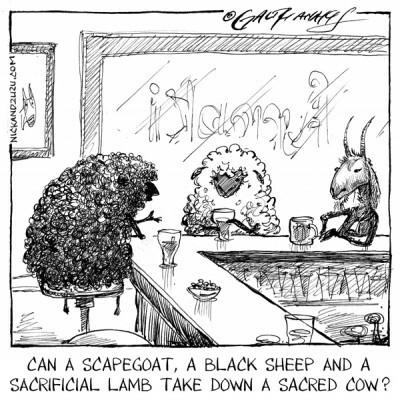 Those are your scapegoats. Party needs them to prop up their failing Infrastructure.
. . . for what they anticipate will be a significant ballot box failure roughly six and a half weeks from now. Meh, I no longer give so much as an airborne rodent derriere what said blueblood elitists think, until such time as those occupying the halls of party power start acting like the platform and the constitution are as important as they're supposed to be. As long as said party leadership insists on treating its foundational core principles (fiscal conservatism, social traditionalism, and peace through strength) as divisive instead of unifying, and as long as said party leadership insists on behaving as though there's no substantive difference between them and the opposing major party, then my time and my money can be put to better use. Mind you, I'll still publicly self-identify as a Republican, but my loyalty is to the platform and principles . . . and to party leaders and elected officials only to the extent that the exhibit by their actions the same loyalty.